The Michelin Guide has helped travelers find restaurants on the road since the 1920s. Their star rating system has become synonymous with the best names in food. You might expect this kind of clout to come with a steep bill, and usually you’d be right, but there are some Michelin-approved spots offering inexpensive eats. Know before you go: Don’t leave without trying bak chor mee, the stall’s famous minced-pork noodle dish. Tim Ho Wan is famous for their delicious and diverse selection of dim sum, from classic BBQ pork buns to specialty steamed rice rolls. There are 45 global locations, including the newest in downtown New York City. For seven consecutive years, this franchise has been awarded a Michelin star for each of its three Hong Kong restaurants. Know before you go: If you want to stop at one of the Hong Kong spots, plan ahead. Reservations aren’t accepted and the wait can take up to an hour. Canton 8 makes the list as the world’s cheapest two Michelin-starred restaurant. The famed dim sum joint serves refined yet original Cantonese cuisine in a modern setting with floor-to-ceiling windows. Know before you go: Keep your party small since the tables only seat up to four people. Reservations are required. Candlenut stands out for being the first and, so far, only Peranakan restaurant ever awarded a Michelin star. Peranakans (also known as ‘Straits-Chinese’) are early descendants of the Chinese who migrated to Singapore, Penang, and Malacca. Know before you go: Though dinner is served by tasting menu, you can enjoy the dishes à la carte at lunch. Tucked away in the heart of a famous fishing village, Outlaw’s Fish Kitchen serves unique tapas-style seafood dishes in a 15th century fisherman’s cottage overlooking Port Isaac harbor. In addition to local catches, Outlaw’s also offers a seasonal drink list of Cornish beers, wines, and gins. Know before you go: Outlaw’s may be known for fast service, but book a table in advance to avoid disappointment. Bestowed with one Michelin star, Tatau Bistro gastropub serves reasonably priced tapas crafted from high-quality ingredients. The €10.50 (~$12.50) steak tartare and €2 croquetas de jamón (ham croquettes) are especially noteworthy. Tip: Watch your meal get made through the bistro’s open-view kitchen. Barrafina tapas bar serves authentic Spanish dishes made with fresh seafood ingredients. The first restaurant opened on Frith Street in 2007, and there are now three locations throughout London. The Michelin-starred Barrafina is located in the trendy Soho district. Know before you go: Stop here when you’re in the mood for drinks and a quick bite. Reservations aren’t accepted but service is fast. In 2014, a young chef and his wife opened Les Genêts in a renovated townhouse in the Brem-sur-Mer commune of western France. Two years later, the team received a Michelin star for their classic French fare with a creative edge. Know before you go: Plan time to enjoy the peaceful garden. Another Michelin-starred restaurant located in a commune, Cavernago is a northern Italy institution. In addition to exquisite fish dishes, it’s praised for its sparkling and white wine selections. Know before you go: Don’t forget your camera – everything on the menu is plated eloquently for the perfect #foodporn op. Blue Hill stands apart from the rest of New York’s many Michelin-starred haunts for its farm-to-table cooking, reasonable rates, and iconic yet intimate venue in the historical Greenwich Village. Tucked three steps below street level, the restaurant opened in 2000 out of a landmark speakeasy. 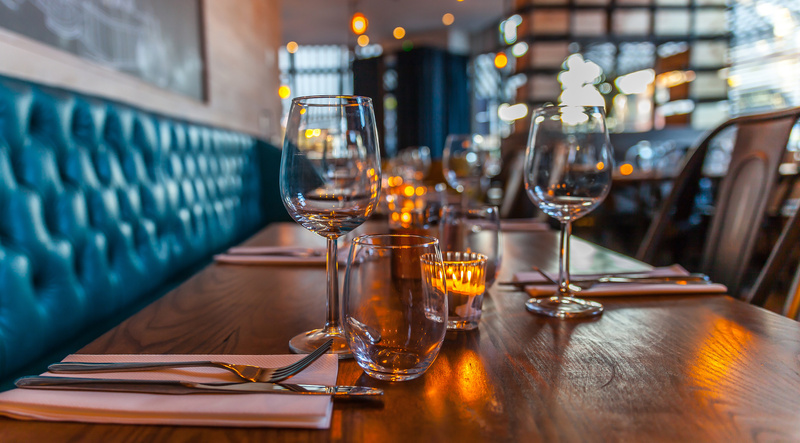 Know before you go: Treat a special someone to dinner here and enjoy a distraction-free night out. Mobile phones and flash photography are banned in the main dining area. Tipping etiquette at these places varies from location to location. Study up on our global gratuity guide to avoid a faux pas when you pay.